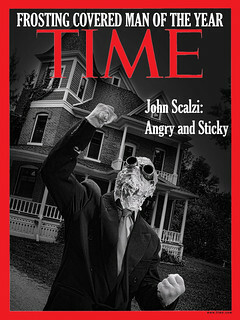 With tremendous respect, DAMN you, Mr. Scalzi. You are a tease, and October is WAY too far away. Sub-Press emailed me an alert a week or two ago that they’re again facilitating signed and personalized copies of The Consuming Fire, and you’d better believe that I’ve already ordered mine. But October is a long, long, long time away. Damn it. It’s always nice when you take that long break from a book and come back to find it’s actually good. Heck I have no problem waiting a few months. I appreciate an author that’s actually producing good stuff on a regular cadence. What drives me crazy is when authors lay off for years in the middle of a series I was really enjoying. I just finished reading Collapsing Empire again. It was just as fun as the first time. That’s all I wanted to share. Thanks. 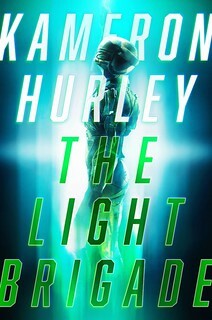 At point between now and October is the narrator for the audiobook chosen? I pre-ordered as soon as it was available. I think I should get an advanced copy because reasons, as I’m sure you’d agree. How is the feeling of reading your own book? Can you distantiate yourself from it to the point were you are not sure what happens next, or is it more of a reviewing your exam before delivering it kind of thing? I always know what happens next. My memory is not that bad. It basically feels like re-reading a book. I’m actually really relieved to hear that you can read your own work with enjoyment. I always find that difficult (read: severely anxiety provoking), but knowing that you can do so makes me think that maybe, if I keep working at it, I’ll get to that point, too. And so many congrats on the new book! Is this the final review you make after you get copy edits back? So what are you checking for at this stage? How many people will read the book during the editing process? I am really not sure what is involved in taking a manuscript and making it a finished product. When will the audio version of The Consuming Fire come out? When you re-read your own material, how do you keep from just zipping through it? When I have to re-read/proofread my own work, I find that I’m always missing corrections because the work feels too familiar.